Although there hasn’t been a huge amount of crafting going on around here recently, due to the children being on their school holidays (at least not much crafting that doesn’t involve copious amounts of glitter or cereal boxes), I do like to have a little project on the go all the time. 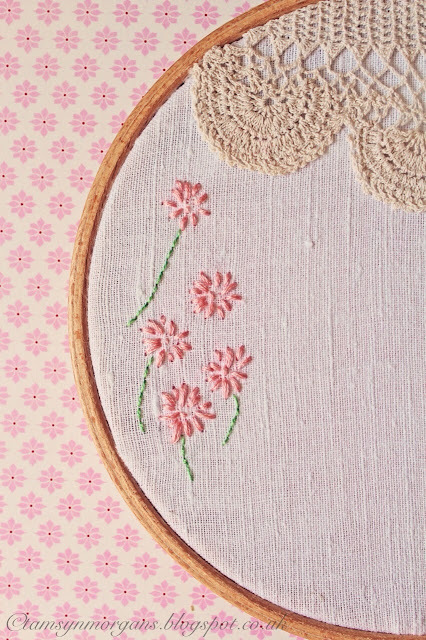 I’ve been inspired by some lovely pictures on Pinterest of embroidered hoops, and I thought I’d give it a go. This one is obviously a work in progress, but it’s the sort of thing you can add a few stitches to as and when you get a spare five minutes! I got the hoop from a car boot fair – you must all be thinking ‘crikey, does this woman ever shop anywhere else? !’, the answer being no, not really at the moment! I even got lots of lovely fresh vegetables, eggs and flowers from one at the weekend, they are just fab! Anyway, you can get these hoops very cheaply on good old Ebay. 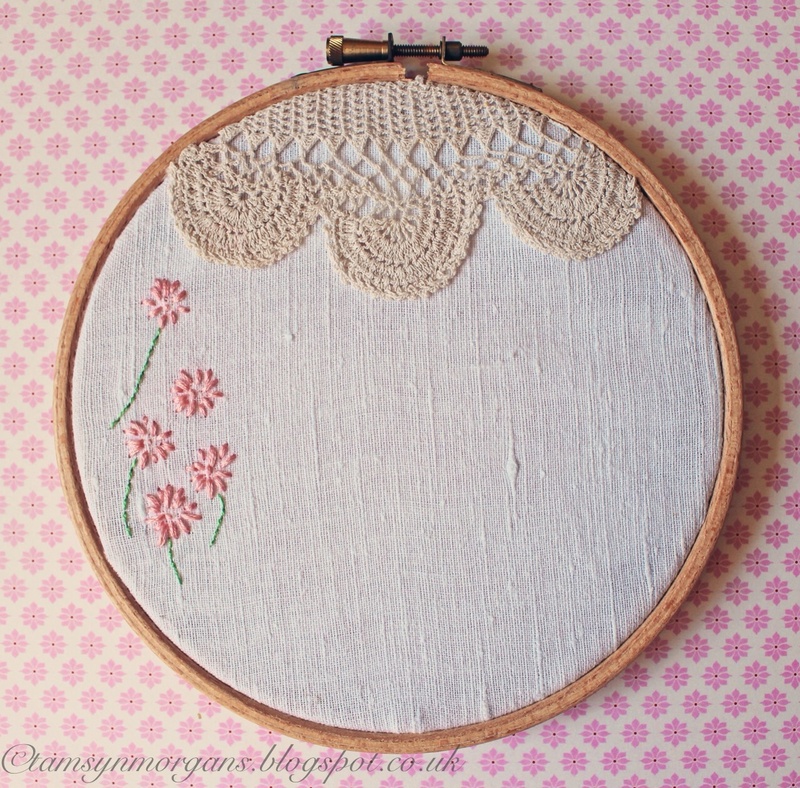 I’m not sure what I’m going to add next to this hoop, maybe some scraps of fabric, some more flowers and tiny vintage buttons. It’s just fun trying something new out, and being fairly relaxed about how it turns out. I’ll post some pics of the hoop when it’s finished! Next Post Welcome September, and Thank You!